According to a Surveydata from Ladbrokes Bingo 70% prefer a girls night in to a girls night out. I could have guessed that what with the ridiculous drinks prices (my silly boyfriend had been known to spend up to £20 on a cocktail) and spending the whole night waiting at the bar to get a drink. I'm all for a big night on the town but now that it's getting cold, I love to stay in, stay warm and have a girly night in my comfiest clothes. 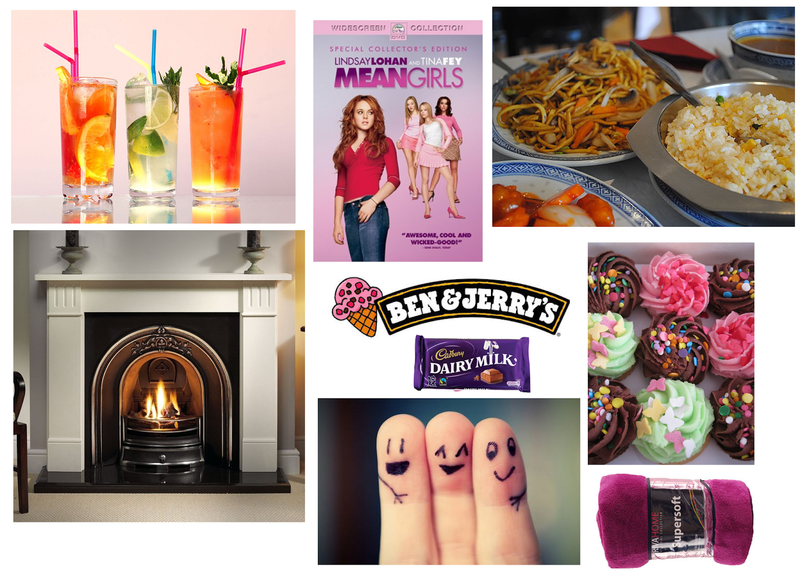 Here's a perfect night in for me!